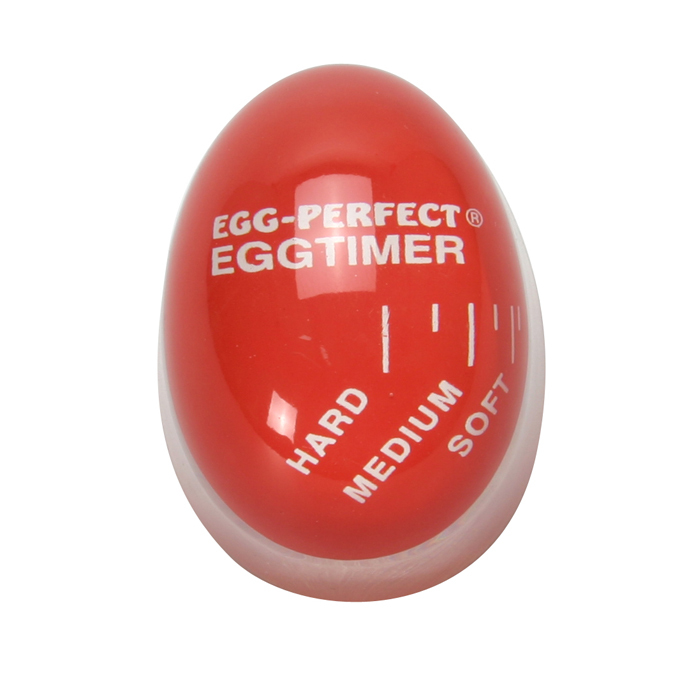 This unique, patented Egg Timer shows when the eggs are soft, medium or hard by sensing heat instead of time. 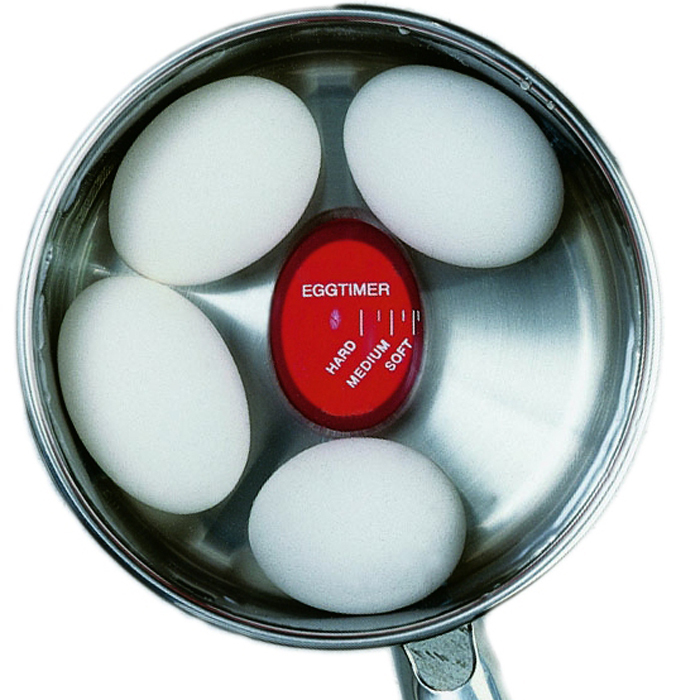 The sensor accounts for the number of eggs, the amount of water, even the altitude at which the eggs are being cooked. 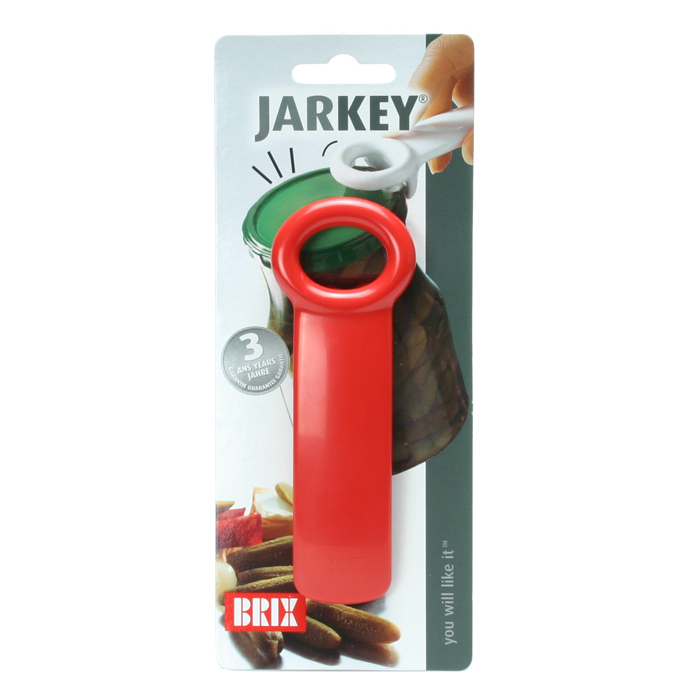 Soft and hard boiled eggs cooked perfectly every time! 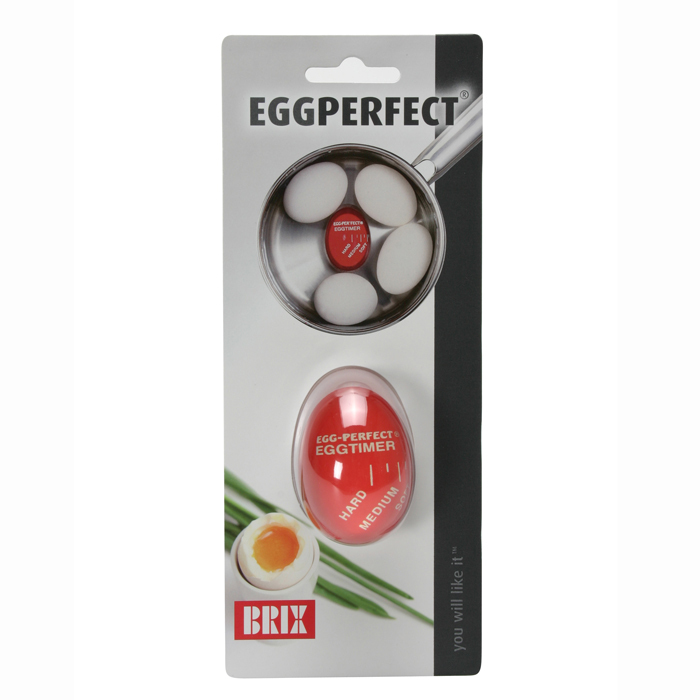 Soft boiled eggs are exactly as you like them, every time. 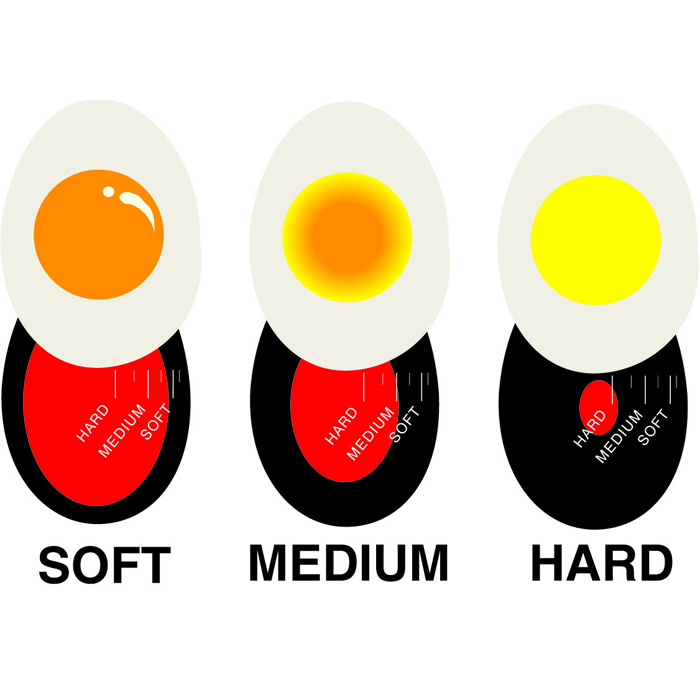 Hard boiled eggs are no longer over-cooked, so they have perfectly coloured yolks, and smooth texture.